Hyaluronic acid injections are one of the most popular ways to eliminate the external defects without surgical intervention. Beauty shots help to fill in the wrinkles, change the shape of the cheekbones and nose, enlarge lips and even change the volume of the breast. The two types of hyaluronic acids are actively used in modern cosmetology. Reticulated hyaluronic acid is indispensable in contour plastic surgery. With its help, it is possible to eliminate pronounced nasolabial folds, which give the patient’s face a tired appearance. Injections are able to restore the lost volume of the lips, cheekbones, cheeks and fill wrinkles. Non-reticulated hyaluronic acid is used in the process of skin biorevitalisation and is aimed at stimulation of production of own hyaluronic acid by the tissues and its hydration. The effect is noticeable on the photos before and after the procedure after the first session. Why is it necessary to perform injections? Beauty shots solve a huge number of tasks in therapeutic medicine and cosmetology that is evidenced by the numerous positive reviews. Depending on the nature of the problem, the doctor selects the optimal procedure, technique of injections and filler with the desired characteristics. Contour plasty of the face. The introduction of the drug under the skin of the patient contributes to the normalization of water balance, rejuvenation and smoothing of wrinkles and furrows. Introduction of injections is also aimed at the correction of facial contours; the most popular direction is injection for increasing of the lips. You can see the effect on the photos before and after the procedure already after the first session. Biorevitalization. The procedure complements the correction of facial wrinkles very well. The combination of Dysport injections and biorevitalization allows not only rejuvenating the face, but also making it more well-conditioned, moisturized and fresh. Mesotherapy. The fillers are being used, which include hyaluronic acids with low density and a high content of other active ingredients. The task of mesotherapy is the elimination of visible defects of the skin and facial contours. Bioreinforcement. The purpose of introducing the filler is the tightening of facial skin, restoring its contours, achieving of a lifting effect and eliminating furrows. Bioreparation. It is aimed at combating serious age-related changes of the skin and its rejuvenation. This is a more powerful version of biorevitalization. The selected area is processed with the medicinal product that is inducing anesthesia. The physician opens the package with the drug in the presence of the patient. Injections are made in accordance with the selected technique. The antiseptic, soothing masks and anti-inflammatory drugs are applied onto the treated zone after completion of the process. According to the feedback from the patients, the result exceeds all expectations. The cost of the operation does not stop the women from reaching perfection. Only biorevitalization and mesotherapy are carried out in 2-10 sessions among these plasty methods, so their total value exceeds the price of other similar operations. In other cases, according to the reviews, one visit to the cosmetologist is enough to achieve the desired effect. The introduction of the preparation is not a painful process due to the use of local anesthesia. According to the feedback of our patients, the swelling and redness pass away in the first 2-4 days after the procedure. you should refrain from visiting the beaches, solariums, baths, saunas and fitness for two weeks. 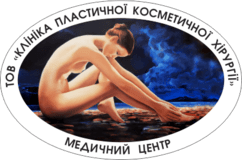 Prices for services of "Clinic of Plastic and Cosmetic Surgery" in Poltava can be identified by visiting the "Our Prices" section. You can update information or ask questions regarding the price of other services directly in our clinic in Poltava or by phone. The cost of some operations may be defined individually.